If you’ve upgraded to Windows 10 and now your mouse quite often lags or freezes, you’re not the only one. Quite a few Windows users have reported this problem. But don’t worry – you won’t have to put up with it forever. We’re here to help you fix your mouse freeze with step-by-step instructions and clear images of what you need to do. We’ve put together four solutions you can try. Start with the first solution and work your way down the list until you find the one that works for you. Before we begin, you should try your mouse on another computer to see if the lagging or freezing problem continues. 1) On your Keyboard, press the Windows logo key and X at the same time. 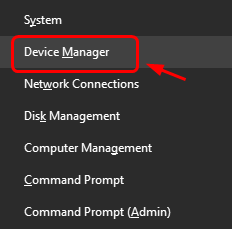 Press the down arrow key until you highlight Device Manager. Press Enter. 2) Press Tab, then the down arrow key until you highlight Mouse and other pointing device. Press the left arrow key to expand the option. 3) Press the down arrow key to highlight your mouse name, then Enter. 4) Press the Tab key and the Ctrl key at the same time until you get to the Driver tab. Press Tab until you highlight Uninstall Device. Then press Enter. 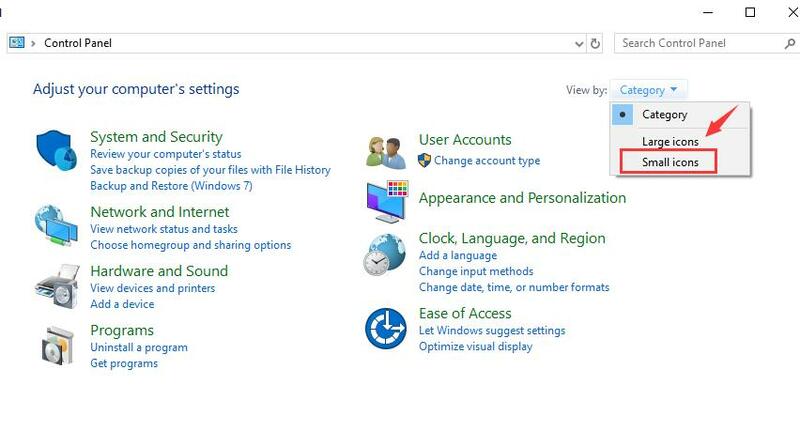 6) If you’re prompted to restart your computer and you’re ready to go, press Enter. If not, press Tab to restart your computer later. 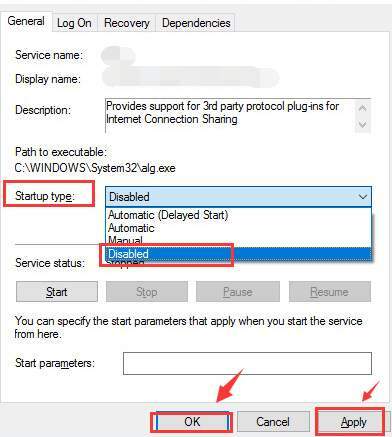 7) If you choose not to restart your computer right away, go to the toolbar in Device Manager and click Scan for hardware changes. If the mouse isn’t working right now, you can press F5 on your keyboard and the scan will start. 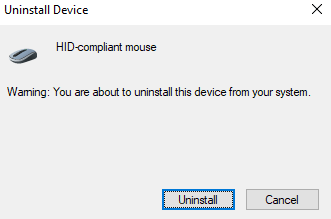 Windows will help you reinstall the drivers for your mouse. 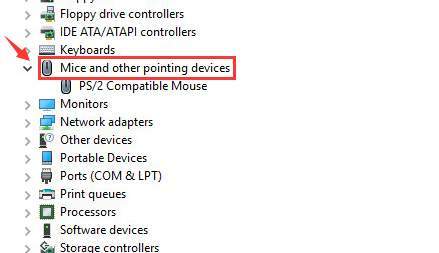 8) See if your mouse lagging problem is fixed. If it’s still an issue, you can try our next solution. The problem could also be caused by outdated graphics card driver. To solve it, you can update your display driver. There are two ways you can update your graphics card: manually or automatically. Manual driver update – You can update your graphics card driver manually by going to the manufacturer’s website and searching for the most recent correct driver. 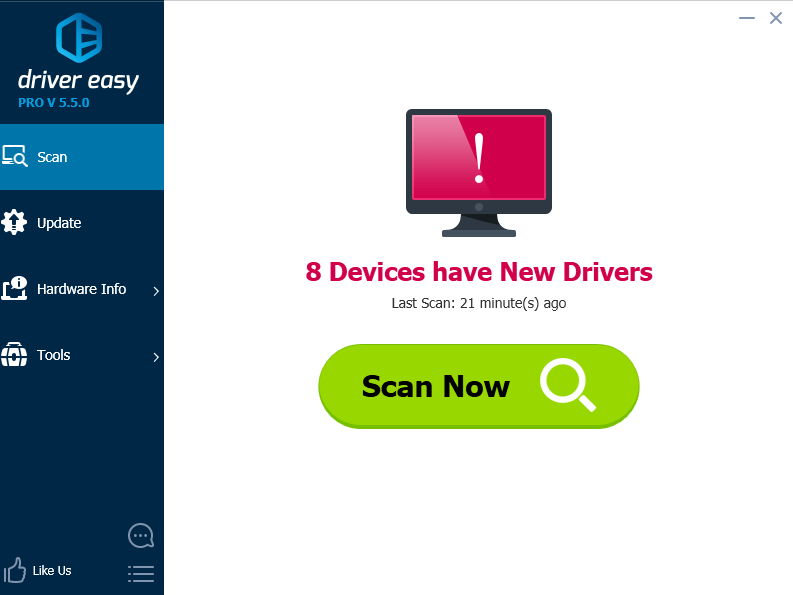 Make sure you only choose drivers that are compatible with you version of Windows 10. 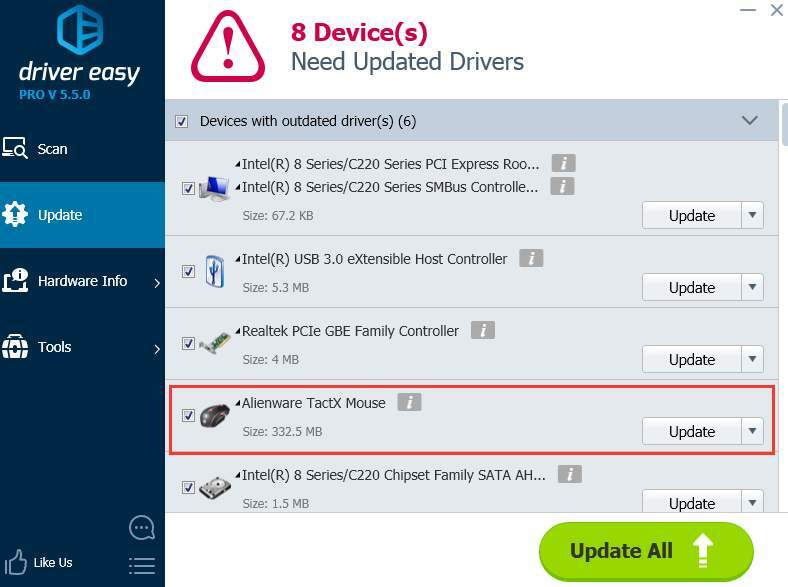 3) Click the Update button next to the mouse device to automatically download the correct version of this driver, then you can install it manually(you can do this with the FREE version). 1) On your keyboard, press the Windows logo key and R at the same time, type control and press Enter. 2) Press Tab, then Enter. Press the left arrow key to select Small icons, then press Enter. 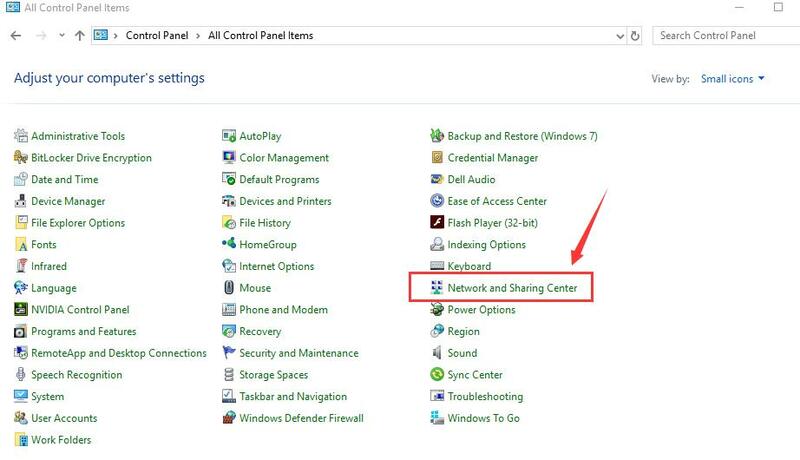 3) Press Tab on your keyboard until you highlight Network and Sharing Center. 4) Press Tab until you highlight Change adapter settings. Then press Enter. 5) Press Tab until you highlight your LAN card. Press the left arrow key to select it. Then press Enter. 6) Press Tab until you highlight Disable. Press Enter. 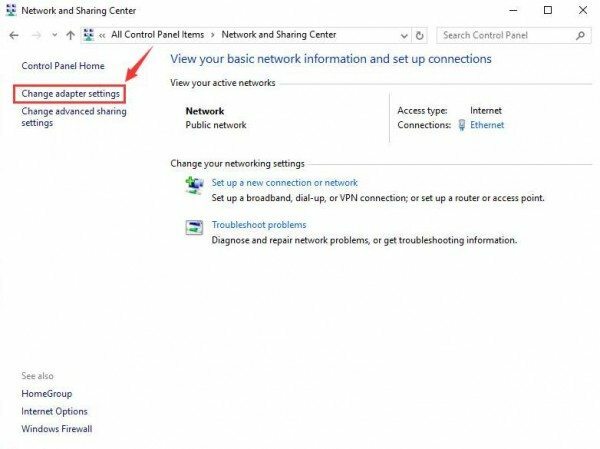 7) Now you’ll be back at the Network Connection window, with your Ethernet icon highlighted. Press Enter to enable your network connection. 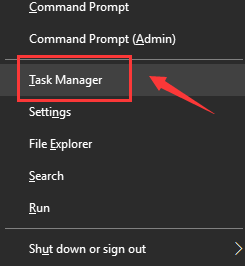 1) Press the Windows logo key and X at the same time, press Tab until you highlight Task Manager. 2) Press the down arrow key until you locate Realtek audio.exe. 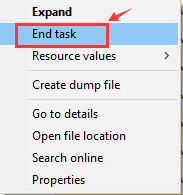 Click End Task. If the above methods don’t work, go check your Task Manager for clues on which applications could be at fault. If they’re occupying a lot of of disk usage, it’s worth looking into. When you locate any suspicious applications, right-click them and click End Task to see if the mouse lagging problem resolved. 1) Disable Cortana. Many users have reported that disabling Cortana helped fix their freezing mouse. 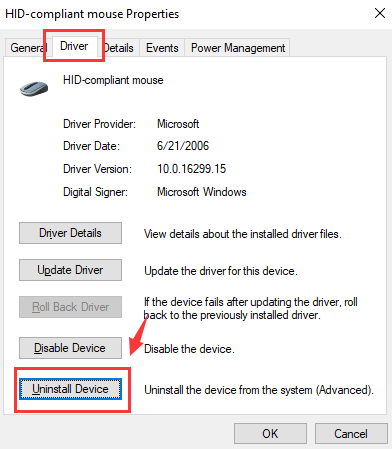 2) Disable ATI HotKey Poller service. 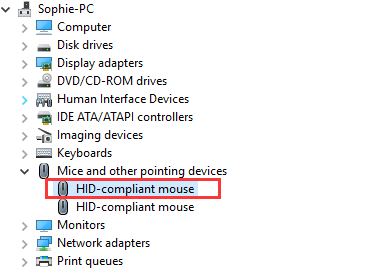 Many user have also reported that ATI Catalyst drivers including an ATI HotKey Poller service can cause mouse lag in certain system configurations. If you don’t need the ATI hotkeys, just disable this service. 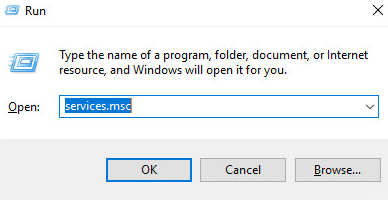 a) Press the Windows key and R at the same time, type services.msc in and press Enter. b) Locate ATI HotKey Poller service on the right side of the window. Then double-click it. c) You’ll be in the Properties window. Change the Startup type to Disabled. Then click Apply and OK.
3) Don’t use USB hubs to connect your mouse. Directly connect your mouse and keyboard to your computer via the ports at the back of your PC to ensure you get the best performance. 4) Try to temporarily disconnect other USB peripherals, such as a digital camera, USB disk drive and so on. 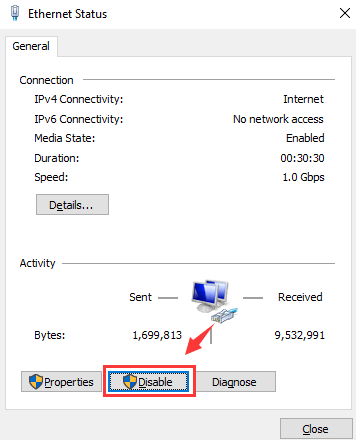 This will help you confirm whether this problem is caused by device conflicts. We hope this helps resolve your problem. If you have any questions, please leave us a comment below.